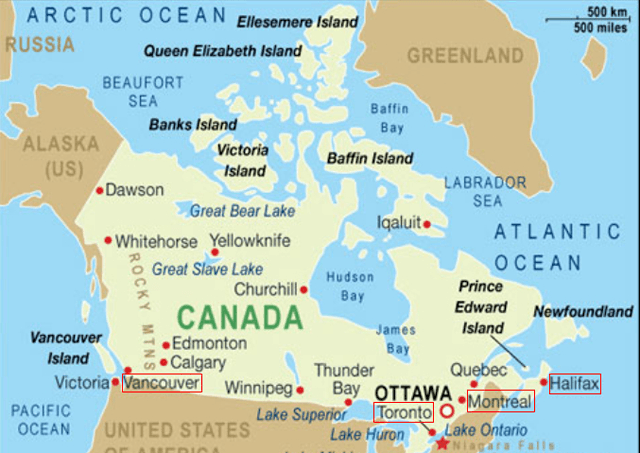 Are you looking for freight options for your cargo delivery to Canada? Are you looking for better supply chain management to save cost and time on transportation? Sea shipments, air shipments or express courier shipments, we can offer all forwarding services to satisfy different logistics requirements. We advise you on shipping costs and transit times, vessel and aircraft schedules. We are your reliable and dependable business partner when imports from China. 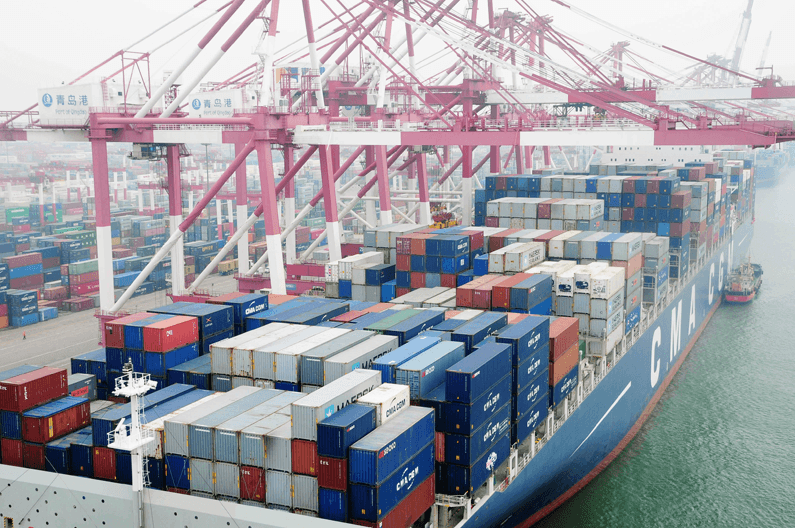 Before importing commercial goods into Canada, as a business or an individual, you will need to obtain a Business Number (BN) issued by the Canada Revenue Agency (CRA) for an import/export account. This import/export account is free of charge and can usually be obtained in a matter of minutes. Click here for learn more. The seller can provide the HS code, while you need to determine the one used for Canada customs – Canada Border Services Agency (CBSA). The first six digits are a common identifier across all countries using the HS for that particular good, including China and Canada. The following four are unique to Canada and used to establish the duty rates and for statistical purposes. 1. Learn more about HS Code. 2. Check the customs tariff rate. In addition to the tariff based on the HS Code, there are taxes you also need to be aware. It includes HST, GST and PST. 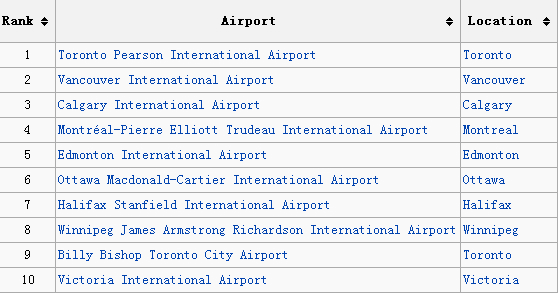 The main ports are Halifax, Montreal, Toronto, Vancouver. Sea cargo service is directly linked to our warehouse and nationwide transport network to manage any supply chain requirements. You can select FCL or LCL based on your actual volume/weight. 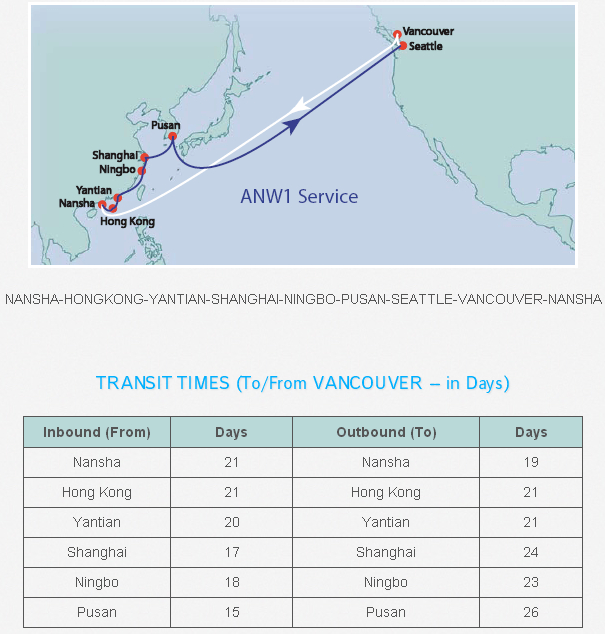 Here’s a a routine schedule from CSCL for your easy reference.As we can see from the Transit Times chart above, it cost about 20 days for ocean delivery from China main ports to Vancouver, west coast of Canada. Add additional 7 days for the destination at the east coast. Click here to learn more about shipping by ocean. With the world’s major commercial airlines, cargo carriers and charters at our disposal, air cargo service is available to link China with every route in Canada. Click here to learn more about shipping by air. Transportation by express couriers is more easier than by airlines. FedEx/DHL/UPS can hand-delivery to your step door, while you don’t have to worry about customs issue and paper works. We can get a big discount 50%-80% from the official public express rates. Find more about how to select the most cost-effective courier. We are always trying to succeed in meeting the cargo transportation needs to Canada, and we possess the capability of responding to all your cargo forwarding requirements regardless of shipment types. Get a quote now and let’s get started!